There are approximately 3.196 billion global social media users. With all the noise and chatter that exists in the social media space, it’s becoming increasingly difficult for brands to connect with audiences. Competition has also greatly increased and our attention spans have diminished. However, there are numerous social media marketing trends that have emerged this year that provide different avenues for brands to successfully market their products and promote their message. Chatbots have become a great tool that businesses can use to interact with their customers. Traditionally, chatbots were extremely robotic and clunky. However, chatbots have vastly evolved and give brands the opportunity to quickly interact with their audience. Chatbots can now send personalized messages that clearly convey the voice of a brand. Many corporations have been experimenting with Chatbots this year including Google and Facebook (there are currently 100,000 monthly active bots on Facebook alone). Another social media marketing trend that has become extremely popular this year is Ephemeral content. Ephemeral content is content that lasts anywhere between 30 seconds and 24 hours before it disappears for good. Snapchat, Instagram and Facebook stories have all contributed to the popularity of this content. Ephemeral content allows for businesses to be more authentic and have a more lasting impression on their audience, especially if they are promoting a specific product (ie. retail item). Audiences need to click on the content as soon as possible if they want to avoid the ‘fear of missing out’, which can result in increased sales and visits to a brands website. With the increasing popularity of Augmented Reality, AR has naturally emerged as a popular social media-marketing trend this year. Augmented Reality, especially on mobile phones, is a niche method brands can utiise to reach their target audience. AR is quick, easy and extremely interactive. Recently, IKEA have launched ‘place’, an app that allows users to virtually place IKEA products in a specific room before they buy it. 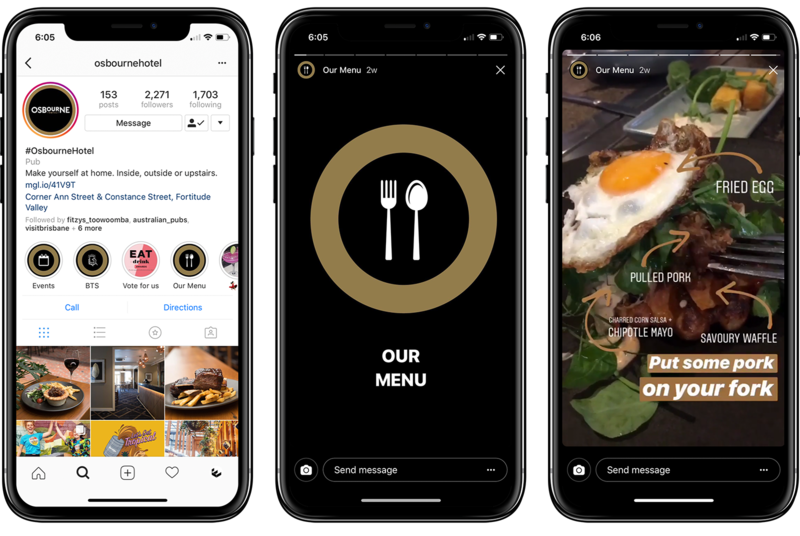 As the popularity of Augmented Reality grows, social media platforms will help this technology become mainstream and it will be increasingly important for brands to utilise this space as it continues to evolve. While there are new technologies that have emerged across all social media platforms this year, there are also current concepts that remain popular amongst audiences. Influencer marketing remains extremely popular and is becoming an increasingly difficult market for brands to tap into. More and more social media agencies and Instagram marketing brands are entering the influencer marketing space and customers demand authenticity, which can be difficult to come by if celebrities or social media stars are endorsing these products. Brands now need to rely on real experts to endorse their products, which will ultimately result in a higher engagement rate amongst audiences. Finally, the last and arguably the most prominent social media marketing trend this year is video. Video is by far the most popular method of consumption by social media users. It is a necessity for brands to incorporate the use of video in their social media strategy. Video has become the fastest growing ad format in the world and will become 80% of all online consumer internet traffic, as well as the closest thing that resembles a face to face conversation. In 2018, 815 of businesses use video as a marketing tool. Social media platforms have recently launched numerous ways of performing video-based marketing. Facebook has launched 360 video, Live video and Lifestage, while Instagram now allows you to create and publish 60 second videos and Insta Stories. Whether or not you decide to adopt any of these marketing trends for your business, it’s important to consider new ways audiences are engaging with content and how to best develop your social media marketing strategy.